Brian Hutchins is CEO of Waitlist Me, which helps businesses improve customer wait experiences in sectors such as restaurants and retail. Waitlist Me launched in 2012 in San Francisco and moved to Charleston in 2015. The company is based at the Charleston Digital Corridor's Flagship. Where did you grow up? What was life like and your memories from there? My father was a children's dentist in the military, so I grew up in a lot of different places. Some of the places like Panama and Germany were neat because I had the opportunity to travel and see a lot of different places at an early age. I think that gave me some different perspectives on people, on cultures. We make it really easy for a business at a busy time to add people to the waitlist and then just press a button to notify them when it's their turn. Ultimately, that gives the customer more visibility into the wait time, more accurate wait quotes and flexibility to walk around. For businesses, that allows them to deliver a higher level of service and ultimately, see better business results. What we like to think is we are helping save businesses customers – they're not leaving and going somewhere else – and then we are saving millions of people time. Waitlist Me was originally part of a larger company in San Francisco called Dialpad. That company was started off as an incubator to make new ideas. What drew me to that one was, first of all, they were doing a lot of bold and interesting product ideas. Second, it was just a very talented team of people that I had worked with at Google and other companies. Originally, I was doing marketing for Dialpad. Over time, Dialpad had a couple of other products, and they focused more and more on enterprise telephony. While I was doing marketing for them, the opportunity came up to take care of Waitlist Me. It kept growing and growing, and I just really loved how it could save people time and it helped a lot of people. So when Dialpad decided that they were really more focused on enterprise telephony, I was happy to take that and spin it out as a new company and grow it. When my dad retired about 25 years ago, he was teaching pediatric dentistry at the Medical University of South Carolina. That was right about the time I was going away to college. He did that up until about last year. I didn't live here full time, but I was back and forth to Charleston over the years. I have seen how Charleston has changed dramatically in the ecosystem for startups and technology. So, as we decided to spin off Waitlist Me, I thought it would be a good place to be close to family and grow a big business. It's probably five times cheaper to have space here than in San Francisco, and I think there are a lot of really interesting things about how the Google Cloud Platform and some of the other technology make it easier to grow businesses other places. I did things like mowing lawns and babysitting for money, but I was probably more focused on sports when I was younger. I think the thing that really got me into entrepreneurialism was working at a startup. Having worked in different environments, at bigger businesses and smaller businesses, it's just so much more dynamic and interesting to work in a startup where you have a lot more responsibility and things move faster. From there, the ultimate challenge is starting your own startup. I worked for several startups in the Bay Area. I worked for Dialpad, which was bought by Yahoo, and another company called GrandCentral that was bought by Google. I also worked at Elance. Then I tried my own, which was called Say Mmm, and I actually developed a meal-planning system that got a number of paid users but wasn't at the revenue level that I thought I could take it to the next level on. The most important thing for me is thinking big and focusing my time on a few larger projects or bigger ideas that will have the most impact. A big challenge when you are running your own company is there is an endless number of tasks, and there are all sorts of things that you could be doing to spend your time. You really have to be very diligent in saying these are the things that I am going to focus on and prioritizing what are the most important things I am doing and which things are going to move the needle. Otherwise you could just be busy. The biggest and the hardest challenge is to be the most productive with your time. Out of all the places I worked, one of the places I thought had the most impressive culture was Google. They have a lot of transparency in their information so people can access that. They give a lot of individual responsibility. They encourage the inherent intellectual passion and building great products rather than having a lot of management control and layers. Some of the things that I learned there I try to do in my own company. Similar to that, I like to set goals and give people the responsibility for a certain area and let them achieve and give them direction. In some ways, it's lead by example, because I have a lot of passion in just growing the company. But it's also giving an area where people know they can take ownership and overachieve. Good bosses are ones that empower their employees and try to make them look good in front of the group and celebrate their successes. Bad bosses are farther on the spectrum of wanting to control the actions or set up tracking systems where they can have more control over the person. Or they would be more likely to highlight their own successes of how they've led the group. Right now we have a distributed team. Some of our engineers are working in different areas – some in India, some in California, and I have people who do projects for us who are in Pennsylvania, or it just kind of depends. We've just started to grow the local team here. We have one full-time support and marketing manager. We're hiring a local engineer. And then we have a lot of part-time people, like there's a person in Charleston that writes our blogs, there's a person that runs our finances. Positive attitude, self-motivated and good problem-solving skills. With a startup, you have to be able to give people an area to work on and just let them go and do a bunch of stuff on their own. You can't be micromanaging everything. So they definitely need to have initiative and passion. And then also you are doing things that are totally new sometimes, so you have to have the problem-solving skills to figure out new ways of doing things or solve problems that there isn't a clear playbook for. Then, a lot of times, you are wearing different hats and doing different roles, and you need to have that kind of flexibility. A lot of people think it's easier because you're your own boss and you would work less, but in reality, you actually work harder and you have more responsibilities because you're the person who has to fix things, whether they're big or small, at the end of the day. I usually start off my day by seeing my daughter off to high school and then I walk my son to elementary school. That's a nice way to start off with my kids. I like to end the day by taking a pad of paper and scribbling down ideas, whether it's product ideas or things I want to get done that week. After looking at the computer all day, just kind of sitting on a couch with some paper kind of opens up different creative processes. I actually get a lot of good ideas doing that, and I don't feel like I'm working. Software that is complicated or pricing schemes that are complicated. I really try to make ours as simple and transparent as possible. This is something that I saw work well at Google. They really focus on just making things faster and simpler and better all the time. So when I see competitors doing that – they'll have sneaky pricing or they'll have a product that takes lots of training or they'll be like, "Call to get pricing" – then you really know it's going to be complicated and hard. With Waitlist Me, we try to make something that just works, that's intuitive and that an hourly worker could pick up and start using with little to no training. Follow your passion because it's not just about creating an idea. There's a lot of work that goes into making any idea possible. So you have to be prepared to want to work on it for many years, long hours. I think it helps if there's something that really excites you about it that you feel like you can do indefinitely. Another thing is being prepared – hope for the best but prepare for the worst. Have backup plans in place of how you'll run different parts of your business. You could always be thinking of what would I do if things are amazing, what happens if they go as expected, and what happens if they don't go as well as expected. You want to always be thinking through those scenarios so you have a little bit of foresight into the things that are coming. It's so nice these days that you can just build something. You can create an app. It doesn't have to be the product that's going to change the world on your first try. But building anything will help you learn a lot. You learn more in that than just reading about it in a book. You'll develop the types of skills that you would need in the tech industry: researching technologies, putting it together, seeing how a customer would interact with it. Just taking the initiative to start making things – it's so cheap to do and it's such a good learning experience. That's what I would advise. There are a variety of ways the service could evolve, but right now we're really focused on taking this core waitlist app and aiming to be the global leader in that. We have a service that's working at thousands of businesses in the U.S., across a couple different segments – restaurants, retail, health and beauty – and we are just starting to roll it out in other countries. Hopefully we can take a model that's working well in the U.S. and extend that globally. That's our short-term future goal, becoming a leader in that waitlist part. From there, we have some reservation and other resource-management features, and there's other types of functionality that we've heard people are interested in related to data or customer service. We are exploring some of those models as we go. But we have a lot of neat things we could do just by extending our core model to other countries. What one person has been the biggest influence on your business life? Craig Walker. I worked with him over the past 15 years at a number of companies. He was at the original Dialpad, which was a PC-to-phone company, which was sold to Yahoo. He founded GrandCentral, which was bought by Google and became Google Voice. He was an amazing CEO and I've learned a ton of things just working with him over the years across several companies. He's also been a great mentor and has been like a big brother to me. PC and, of course, Android because I'm big into the Google ecosystem, having worked at Google. I usually am pretty simple, so instant coffee is fine for me at my house. Spending time with my family is the main thing. I enjoy hanging out with my parents, and then my kids do soccer and dance, so I spend time at a lot of games and competitions. 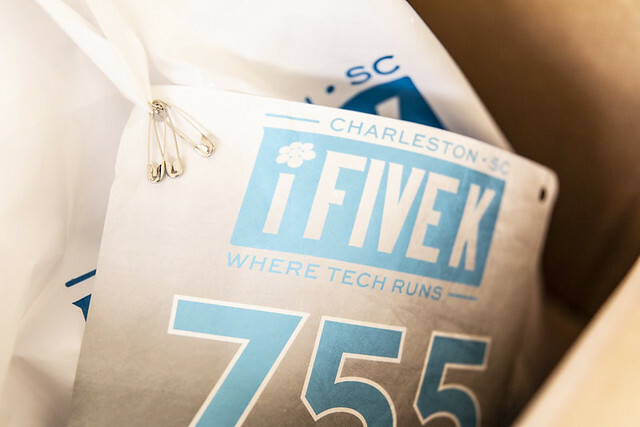 Charleston has a lot of good tech resources and tech talent. The challenge for me is that we have a developed app on the Google Cloud Platform and it uses a language, Python, and there's not a lot of competencies here in that one specific skillset. The reason is some of the bigger tech companies in Charleston that feed into the general ecosystem of talent don't use those technologies. That's been a very specific challenge for us, but it seems like the talent market here is very good. The company is too small – it's hard to get a person and set them up here. With a bigger company, you have processes where you can bring people in and they can set up their life in Charleston. For the bigger companies, I think there are a lot of really good advantages. The standard of living here is great in terms of what you can buy a house for, and be close to the beach and the beautiful downtown. I think the challenge is salaries. Maybe for someone that's in the Bay Area, they may be expecting a lot higher. I think it's been really impressive to see over the years. Probably 10 years ago, there wasn't much going on. Then as the first piece, the work the Charleston Digital Corridor has done has laid the foundation for having some space. That's much more popular now, but several years ago, just getting that and getting the city behind it and getting startups to come through there and getting a little bit of a hub where people can exchange ideas and meet each other was a really good building block. Now you have things like the Harbor Entrepreneur Center encouraging people to start companies and providing mentors for that. And then you have things like DIG SOUTH raising the visibility of Charleston and bringing more people into the area. I think those are all really good and just continue to build on each other. And, like I was saying, a lot of the infrastructure pieces you need can be gotten from the cloud.